This policy has been designed to provide guidance to customers on the manner in which Mavin Hino receives and manages complaints. The purpose of this Policy is to outline how Mavin Hino deal with customer complaints and feedback. Mavin Hino seeks to maintain and enhance its reputation of providing customers with high quality products and services. Mavin Hino value complaints and feedback as they assist to improve products, services and customer service. 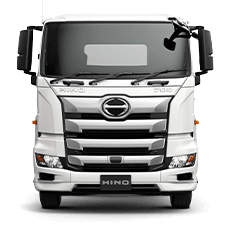 Mavin Hino are committed to being responsive to the needs and concerns of customers or potential customers and to resolving complaints as quickly as possible. Mavin Hino are committed to being consistent, fair and impartial when handling complaints and will work to address each complaint with integrity and in an equitable, objective and unbiased manner. We will spare no effort to be recognised as a partner of the customer and exhibit Customer First attitudes at all times. 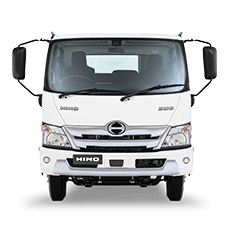 We will go the extra mile to deliver our customers an outstanding level of service and respect the Hino Total Support principles. Being open, honest and respectful of individuals in all our dealings and maintaining the highest integrity at all times. Leading by example and treating others the way we would like to be treated. Always doing what we say we will and striving for excellence and quality in everything we do. By better understanding our customers’ needs and expectations and continuously working to innovate and improve the way we do things. Providing support to one another, working co-operatively, respecting one another’s views, and making our work environment fun and enjoyable. In this policy a complaint means an expression of dissatisfaction made to or about Mavin Hino by a customer (existing or potential) relating to products, services, staff or the handling of a complaint where a response or resolution is explicitly or implicitly expected or legally required. By completing an enquiry form on the HMSA website. 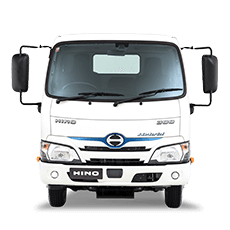 By telephoning the Hino Care Centre on 1300 01 HINO (4466). By writing to HMSA: Hino Motor Sales Australia Pty Ltd, Hino Care Centre, PO Box 225, Caringbah NSW 1495. Once a complaint has been received, Mavin Hino will aim to reply to the customer within 48 hours to confirm receipt and to provide the customer with a complaints reference number. Mavin Hino will assess and where required, investigate all complaints impartially and with a balanced view of all information or evidence provided to it. Complaints will be considered on a case by case basis, taking into account individual circumstances and needs. After acknowledging receipt of the complaint, Mavin Hino will undertake an initial review of the complaint and confirm whether the issues raised in the complaint are within their control. Mavin Hino will also consider any outcomes sought by the person making a complaint and, where there is more than one issue raised, determine whether each issue needs to be separately addressed. Mavin Hino will assess and prioritise complaints in accordance with the urgency and/or seriousness of the issues raised. If a matter concerns an immediate risk to safety the response will be immediate and will be escalated appropriately. Where possible, complaints will be resolved at first contact with Mavin Hino with staff who are adequately equipped to respond to complaints, including being given appropriate authority, training and supervision. Mavin Hino is committed to resolving complaints at the first point of contact; however, this will not be possible in all circumstances. 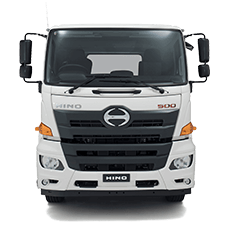 Where a complaint is not able to be immediately resolved, Mavin Hino may need to undertake an investigation and where necessary, conduct its own examination of the Hino Products subject of the complaint. At the completion of any such investigation the complainant will be promptly informed of the outcome and what decision has been made. During the initial review or investigation stage Mavin Hino may need to seek further clarification or documentation from the customer to assist Mavin Hino in resolving the complaint. 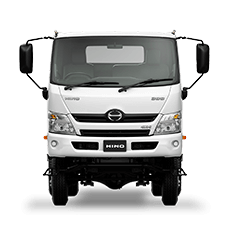 Mavin Hino may also need to undertake its own testing of Hino products. If Mavin Hino has sought clarification or additional documentation from the customer and is waiting on the customer to provide this information, Mavin Hino may not be able to resolve the complaint within 10 business days. Similarly, if Mavin Hino needs to conduct product testing it may not be able to resolve the complaint within 10 business days. Mavin Hinois committed to managing expectations and will proactively keep customers informed about the progress of the complaint, any investigation and the resolution. Customers have the right to make enquiries about the current status of their complaint at any time by contacting 02 6562 6211. Mavin Hino generally aims to resolve complaints within 10 working days. If it takes Mavin Hino longer than 10 working days to resolve a problem or if the complaint needs to be escalated internally or externally, then the customer will be informed of the reason for the delay and provided with an updated date when Mavin Hino is likely to be in a position to finalise the complaint. Mavin Hino will advise the customer of the findings of the investigation and any action Mavin Hino may take to resolve the complaint. Once the outcome of any investigation has been communicated to the customer the complaint will usually be closed. Mavin Hino will aim to ensure that the person handling a complaint is different from any staff member whose conduct or service is being complained about. Conflicts of interests, whether actual or perceived, will be managed responsibly. In particular, internal reviews of how a complaint was managed will be conducted by a person other than the original decision maker. Mavin Hino is committed to being accessible and responsive to customers who approach us with feedback or complaints. When people behave unreasonably in their dealings with us, their conduct can significantly affect the progress and efficiency of our work. As a result, Mavin Hino will take proactive and decisive action to manage any conduct that negatively and unreasonably affects us and will support our staff to do the same in accordance with this policy. Customer name & contact information. The name of the person the customer has been dealing with. Details of any steps the customer has already taken to resolve the complaint. Copies of any documentation to support the complaint, if relevant. Mavin Hino will ensure that outcomes are properly implemented, monitored and reported to the complaint handling manager and/or senior management. Mavin Hino will ensure that complaints are recorded in a systematic way so that information can be easily retrieved for reporting and analysis. Monitoring may include the use of audits, complaint satisfaction surveys and online listening tools and alerts. support the making and appropriate resolution of complaints. implement best practices in complaint handling. recognise and reward exemplary complaint handling by staff.